Do you know what our service SEA is about? 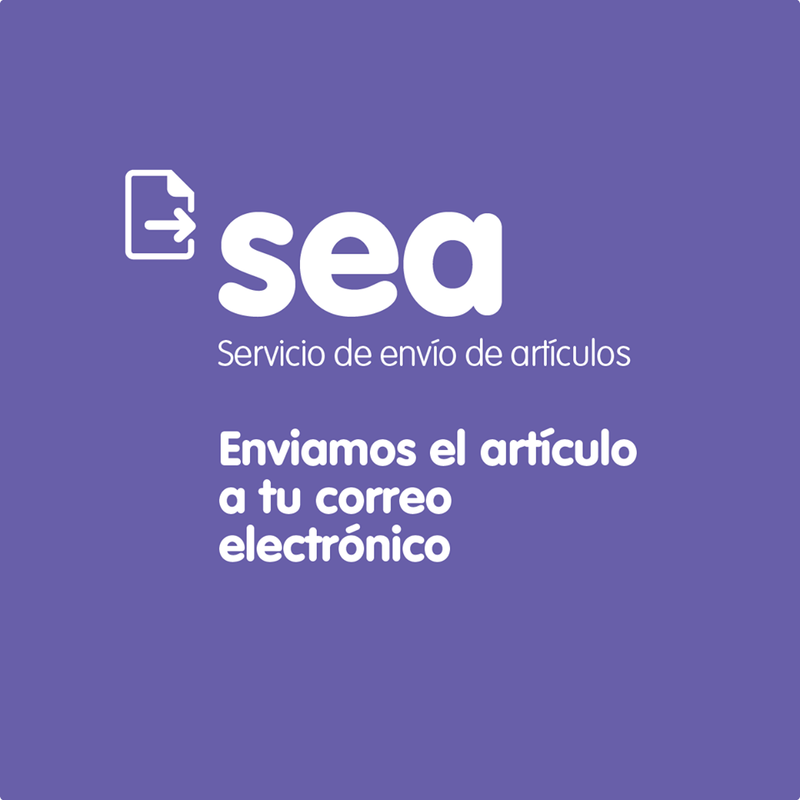 SEA is a shipping service of periodicals' articles in our newspapers and periodicals library, aiming to help the users to get the documents they need. You will need to register to make use of this service filling this form. 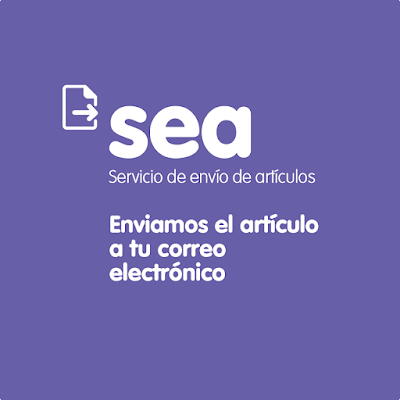 SEA provides digitized copies of scientific magazines' articles in paper form in the newspapers and periodicals library. However, newspaper articles, chapters of books or thesis, magazines' complete editions (among others) will not be supplied. Also, available digitalized articles are not provided through our PuntoQ website. 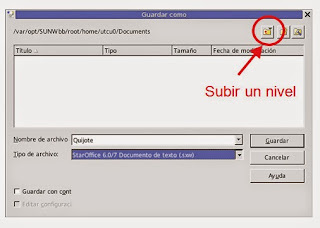 How to save a file on the computers available in the reading rooms? 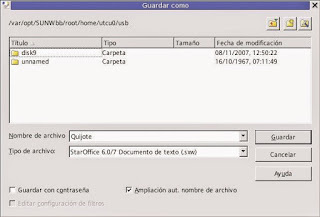 either send it by email through a web service you like or save it on a USB Flash Drive. by default. Remember that your work can be stored both physically with the help of memory devices and virtually by means of your email. Otherwise, your files will be deleted when you log off the system. 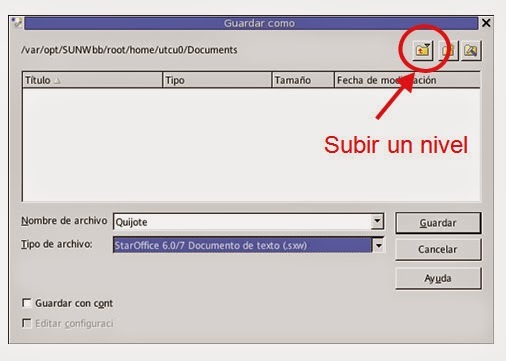 Then, click on the icon "Subir un nivel". 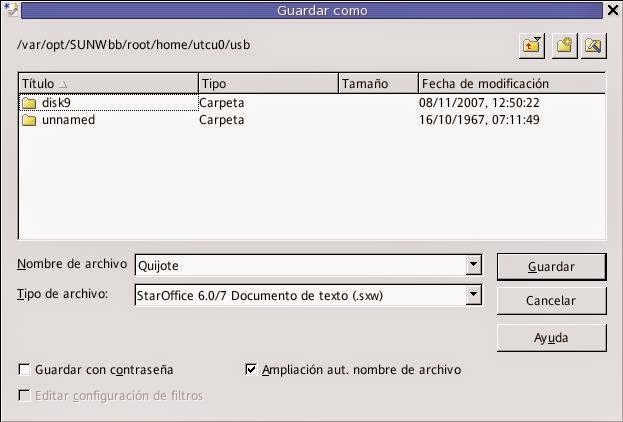 Now click on the 'usb' folder you will find displayed on the next window. And finally, choose whichever folder you like! so you will have to format your device. *CLABE stands for Clientes Ligeros para el Acceso a la Biblioteca Electrónica, the network of computers provided by the library. 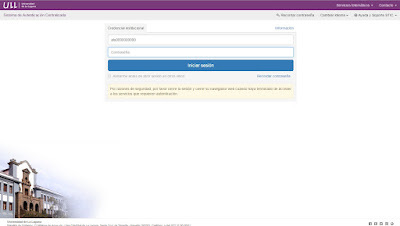 Which is my user's number and password as a member of the ULL? How can I contact the library through its website? You can ask us whatever you want (blue square), both from the online chat and from the form we have designed to receive your questions. We promise to answer back as soon as possible. You can also send your claims, complaints, suggestions and congratulations through the website (yellow square). This is a central service available to the whole university. We will answer back in no more than 20 days, and silence procedure will not apply. If you fill in the satisfaction survey (red square), we will know how to improve our services to adapt them to your necessities. Answer the questions will not take you more than 2 minutes and it will be of great help for us. How can I book a carrel? 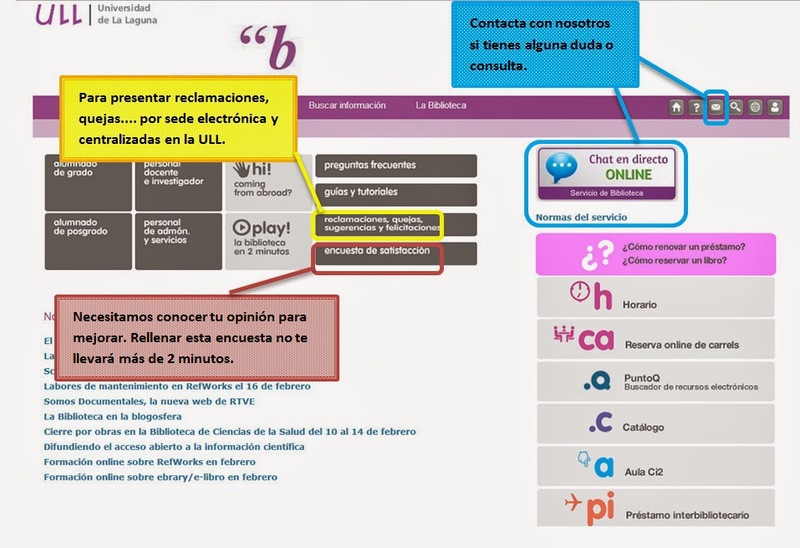 The library webpage www.bbtk.ull.es > Servicios (Services) > Reserva de salas (Room reservation). Each library’s blog in which these rooms are offered. Directly from the following webpage: http://reservas.bbtk.ull.es/. In order to book a carrel, you have to identify yourself as an ULL user with your NIU and password. Before booking a carrel, you should look at the policies for using these rooms in the library webpage. Do you know what EDUROAM is? Eduroam (EDUcational ROAMing) is an international initiative which aims at the creation of a single online roaming site. Its objective consists in making possible for users, who move to another institution, to have a virtual working site with Internet connection, and to have access to the services and resources of their institution of origin , also allowing the user to access to the services and resources from the institution in which they are currently studying. For more information, look at the website of the STIC service of the ULL. CDU is the abbreviation of "Clasificación Decimal Universal" (Universal Decimal Classification). It is a system that encodes the topic of a certain work with numbers, and that is generally used in the organization of the shelves in most of the universities in the world. The library staff is happy to answer questions or point you toward resources that can help. Please send us your questions in this form. Thank you.